← Breaking habitual behaviour? – Try using the wrong hand! 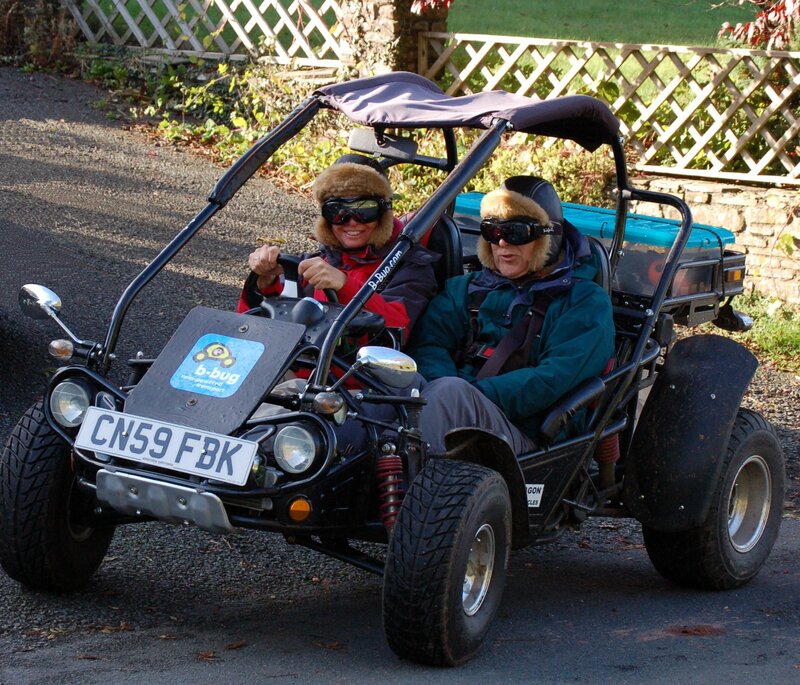 This year, The Prospectory ran a trial of two electrically-powered open air buggies for visitors to the Brecon Beacons National Park. Boris and Blodwen – the b-bugs – enabled visitors to explore the National Park in a novel, fun and green way instead of using their cars. 80% of car journeys in rural Wales are less than 25 miles and many of these are on small country lanes. Today, people drive even 1-2 mile trips to the local shops in powerful, energy- intensive vehicles which are capable of carrying 5 people in warmth and comfort at a cruising speed of 70-80 mph for at least 400-500 miles. We were interested whether people might be happy to do some proportion of these short local journeys in a much cheaper, much slower, lighter weight, open-air, low-energy vehicle – the kind of vehicle which you wouldn’t dream of driving more than 25 miles in. In fact, something which is only a few steps up from a bicycle. So, the b-bug concept was born and the trial results were extremely promising. People loved driving a funky outdoor vehicle (at least through the summer) and locals were quite happy to commute to work that way or run their children to school. And the b-bugs consumed only 0.14 kWh of electricity per mile (about 1/10 of an average car). It’s certainly a different way of thinking about personal local transport – the idea , if you will, of a ‘not-car’ – electric transport which will get you from a to b but without any of the comfort, speed or range of the modern automobile. But funnily enough that’s where the automobile started 120 years ago. 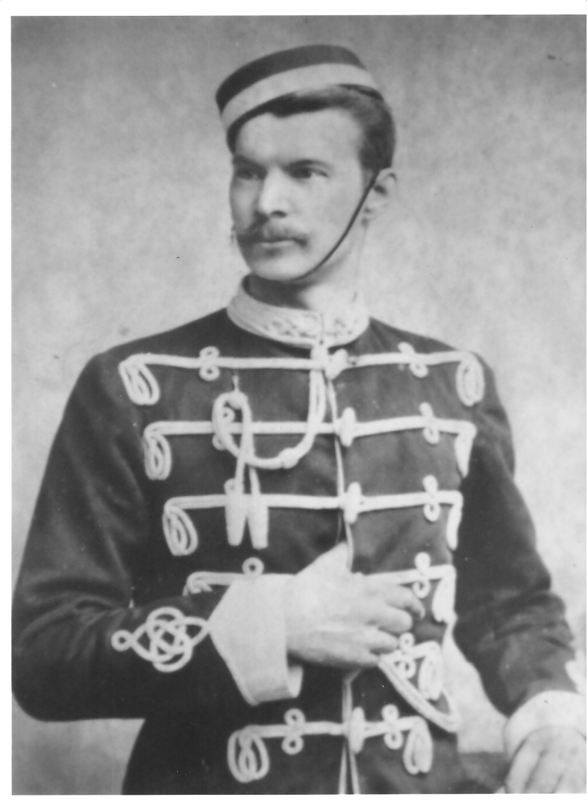 In the past few days, thanks to research by my distant cousin, Christopher Lewis, I’ve been delighted to discover that my Great Grandfather, Henry Hollick, built the body for J.K. Starley’s electrically propelled tri-car in 1888 – reputedly the first motor vehicle to be made in the UK. And here’s what it looked like! A fore-runner for the b-bug? What fun it would be to show Great Grandfather Henry (pictured right) both our Ford Mondeo and the b-bug and try to explain to him why we are now coming round full circle in our thinking about the lightweight construction and propulsive power of our vehicles! I’m sure he’d offer some insights. 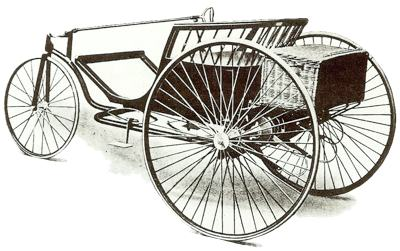 This entry was posted in Technology and tagged b-bug, electric vehicle, Henry Hollick, Hollick and Pratt, tricar 1888. Bookmark the permalink.